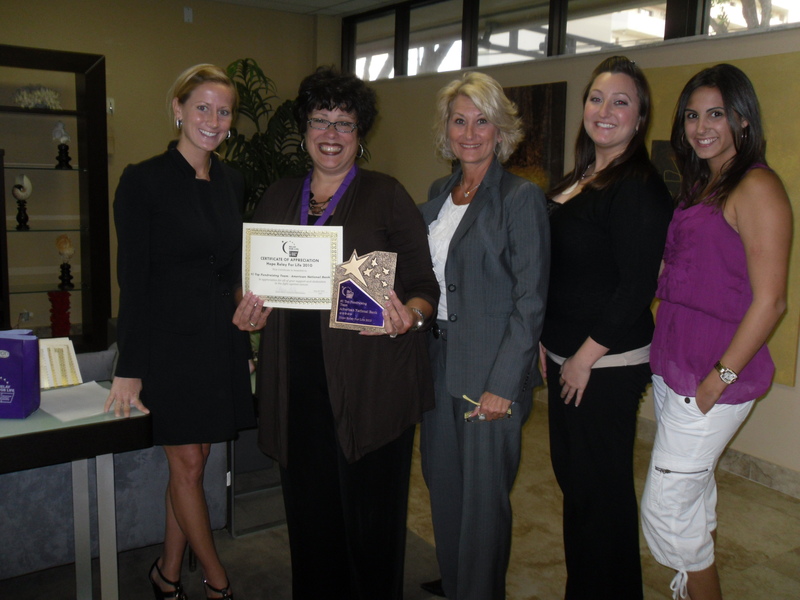 The American National Bank team was proud to receive the 2010 Hope Relay for Life Top Fundraising Team Award from the American Cancer Society. With the help of our generous clients and the hard work of our bank team, we raised approximately $7,000. Thanks to all who made this possible! This entry was posted on Friday, July 9th, 2010 at 6:56 pm and is filed under Uncategorized. You can follow any responses to this entry through the RSS 2.0 feed. You can leave a response, or trackback from your own site.